Microwave Pressure Cooker Only $17.49 Plus FREE Shipping! You are here: Home / Great Deals / Microwave Pressure Cooker Only $17.49 Plus FREE Shipping! Check out this great deal! Pick up a 4.5 quart Microwave Pressure Cooker for Only $17.49 Plus FREE Shipping! Comes with it’s own 74 dish cookbook! 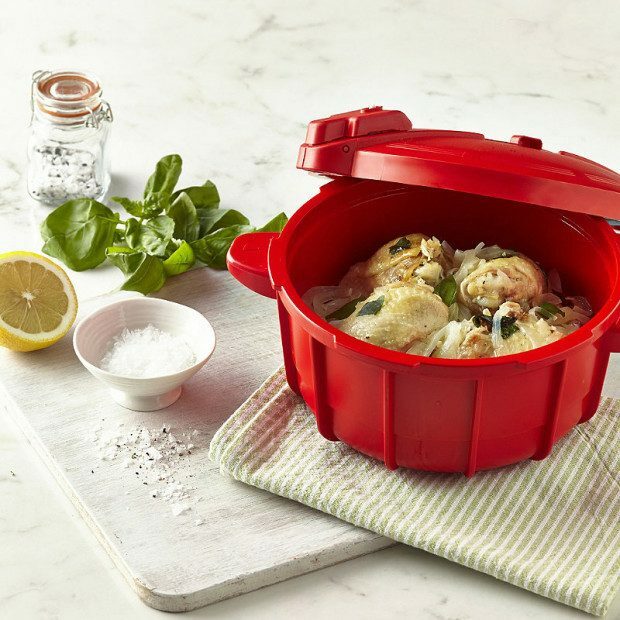 Depending on your food choice and the setting, this ingenious device helps prepare tender, delicious meals faster than conventional cooking–all with minimal cleanup!